Brexit – is it even possible? 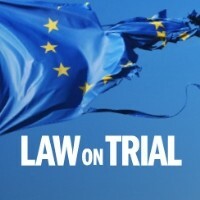 This post was contributed by Professor Erik O. Eriksen, Director of ARENA Centre for European Studies at the University of Oslo, who will be participating in a panel discussion on Friday 17 June as part of this year’s Law on Trial events. Law on Trial is the School of Law’s annual week-long programme of free-to-attend public lectures and panel discussions and this year puts the European Union on trial – one week before the EU referendum in the UK. Can the Brits actually decide if they want out of the EU on the 23rd of June? There have been quite a few moments of truth in the British debate about leaving the European Union. Increasingly it has become evident how deeply involved the country is in the EU, and how dependent the Brits are on European cooperation. The debate has highlighted the importance of the financial industry, whereby London City would be threatened by the replacement of Frankfurt as a leading European finance centre. Then there is the issue of agriculture, which would be left without subsidies from the EU. Business in general is dependent on immigration. The same goes for healthcare. Leaving the EU is said to have consequences for staff, waiting lists and the quality of treatment in British hospitals. And also soccer, a major industry with a turnover of billions that relies on free movement, would be affected. There are currently 332 soccer players from the EU playing in the top league in England and Scotland. These players, however, do not fulfill the criteria for working permits for citizens from non-EU (member) states. Surely such matters can be arranged, but what will withdrawal mean for the rights of Britons that live and work in the EU? And how will the relationship of the UK with third countries look after a withdrawal from the EU? The situation of the UK in the EU illustrates a general point about an integrated Europe. Much sovereignty has been delegated, interdependence has increased. Integration has affected the very nature of nation states. Many laws will have to be rewritten if the country leaves the Union. This should however not come as a surprise. The EU is known to be more than an intergovernmental organisation, where states can easily withdraw. The EU makes its own laws that are binding on the members. And the internal market is much more than a free trade zone. The Union abolishes differences in laws and standards and develops new rules and regulations that all members have to accept. This uniform regulatory framework provides legal certainty for market participants. Within the EU cases can be brought before a supranational court. Rules shall be interpreted, enforced and complied in the same way. The European Economic Area (EEA) Agreement that Norway, Iceland and Lichtenstein have with the EU, makes this apparent. EEA law has no material substance in and of itself, but obliges Norway to accept existing and future EU law. It should therefore not be seen as EEA law, but rather EU law. There is a right to withdrawal from the Treaty, but how does this work in practice? First of all, the conditions for withdrawal need to be negotiated. These negotiations can take up to several years. At present there is no majority in the House of Commons on any option for withdrawal. Some want to negotiate first, others want to use the withdrawal-clause immediately, and then there are those undecided. The problem is that the country has to get rid of complex regulations, covering different policy areas. New policy has to be created to replace abolished EU regulation. Second, the future relationship with the EU needs to be renegotiated. All, including EU-sceptics, acknowledge that they cannot manage without some kind of agreement with the EU. In particular, the Union represents the world’s largest market with its 500 million inhabitants. The Brits are dependent on an agreement with the EU in areas of common interest. The example of Switzerland, a country that has 120 bilateral agreements with the EU, shows how complex such a relationship can be. Neither do we know what the political climate will be after a possible ‘no’ in the British referendum. It is difficult to first withdraw from the Union and from the incurred commitments, and then start negotiating good terms for continued cooperation. Divorces are seldom pleasant. Third, bilateral trade agreements with third countries have to be established, to replace those that have been signed with the EU. This creates many uncertainties, especially because large trade agreements are at present negotiated between blocks of countries, where the great powers China, the USA and EU dominate. From an economic perspective, there is a risk of an economic downturn in the UK after withdrawal. Financial markets already signal unrest over a possible turbulent economic situation in the future. These factors can lead to a legal nightmare and years of negotiations and uncertainty. One thing is for sure: leaving the Union would change the UK’s trade relations with the EU and the rest of the world significantly. Furthermore, a whole list of other problems arises if the UK decides to leave the Union. What about the rights of the almost two million Brits that live in other EU member states, and make use of the rights they have as EU citizens? British pensioners living in Spain, for example, have access to Spanish healthcare. The UK has also considerable clout in the foreign policy of the EU. It is therefore unclear what role the country will be able to play outside the EU. The UK will become less important to the USA and many argue that as a former empire, the country will have difficulty in being regarded a neutral broker. Even areas where Brits enjoy opt-outs from the EU’s laws, as in asylum and immigration policy, are affected by EU decision making. If for example the Dublin Regulations in which member states are responsible for examining the application of asylum seekers is abolished, the UK will not be able to deport them. Withdrawal is risky also because Great Britain’s unity is at stake. Scotland might withdraw from the United Kingdom. Problems attached to the withdrawal seem insurmountable, but in a referendum it is not always the rational arguments that prevail. Often voters vote on other things, often external factors and trust in present powerholders play a decisive role. This referendum is particularly interesting for two reasons. First, the referendum forces those in favour of continued EU membership to be on pitch. They have to clearly state why the EU is important, and dismantle wrong information and falsely-grounded ideas about what a country in ‘splendid isolation’ could achieve. We rarely hear Brits talk about the EU in positive terms. Secondly, ‘Brexiters’ have to propose a realistic alternative. Those in favour of withdrawal have to present a credible alternative to EU membership. Responsible politicians have to make evident how a United Kingdom outside the EU would be able to cope in an increasingly interdependent world. There is no current agreement on what a United Kingdom outside the EU would look like, and how relations with other countries are going to be upheld. Some argue that Britain only needs a customs union with the EU; others argue that they can expand their cooperation with the Commonwealth, and yet others look to Norway’s EEA Agreement and Switzerland’s bilateral agreements. But are any of these models realistic alternatives? A customs union with the EU – with free market entrance – is only possible if the other 27 EU countries agree, as it requires Treaty amendment. An agreement will not be acceptable without significant contributions from the United Kingdom. Agreements with Commonwealth nations, which can be difficult enough since they now have strong relationships with other countries, would not compensate for the loss of the EU market. Both the EEA model and the Swiss bilateral model would entail getting access to the internal market by accepting EU law and regulations. The Brits would then be no better off than today with regard to sovereignty, quite the contrary. By adopting any of these models, the United Kingdom would become partially EU member, but without being able to influence EU decision-making. British EU sceptics want to roll back integration and return sovereignty to national institutions. They frequently reject an affiliation like the Norwegian one because it would mean even more EU dominance. Norway has abstained from having influence, but not from being affected by the EU’s decisions. The core of EU scepticism lies in the experience of being governed by others, which is the reality in the EEA. The Norwegian loss of sovereignty is not compensated by co-decision in the European Parliament and Council, as is the case for Great Britain. Power is not the same as sovereignty. The ceding of sovereignty increases power when it gives actors decision-making power in supranational bodies. It is not obvious that the UK can actually fully withdraw from the EU. It will be difficult to avoid ending up in a similar situation to that of Norway or Switzerland, where EU laws are accepted in exchange for access to the internal market. There is, as far as I can see, no realistic alternative to (a reformed) EU, while the fiction about an alternative is what motivates British EU sceptics. This very same fiction underpins the continued legitimation of technocratic EU adaptation made by the opponents to Norwegian EU membership. But what is a plain fact in Norway is the ultimate horror for many Brits. Category: Law Tags: EU, Europe, European Union, Law on Trial 2016, Referendum by Bryony.